I saw this girl and had to ask to take her photograph. She made her outfit herself. She’s beautiful. 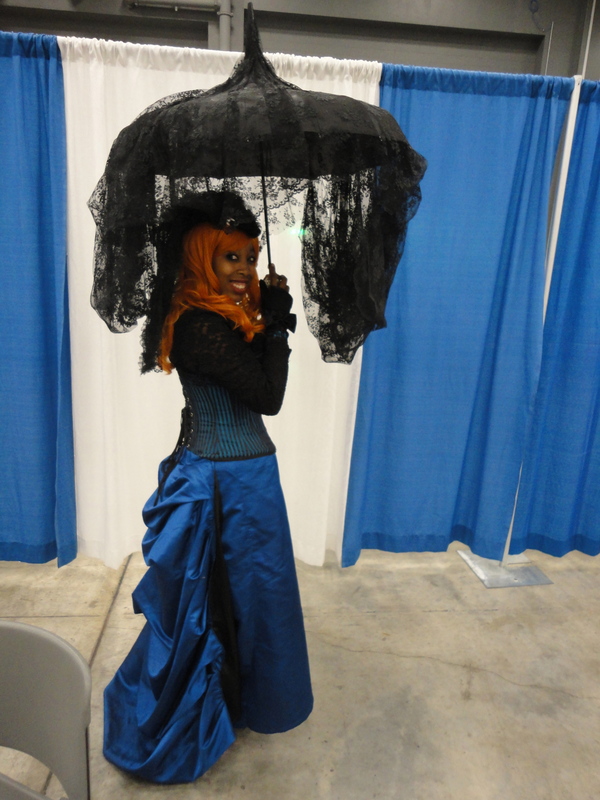 I can’t do anything as grand, but one goal for this year (and I set this goal back in October when got to see several brilliant steampunk outfits in one day) is to make my own steampunk ensemble, and wear it to Comic Con 2013. Years ago, I started noticing a certain style in a few films that made me say, “Oh, that’s cool. I like that.” But I didn’t have a name for it. Ten years ago, maybe? I’m not sure. I’ve always liked a bit of Victorian. Not all of it, mind you. Then somewhere I came across an image of steam industry crossed with something Victorian. I don’t remember what it was, but it stayed in my consciousness, until finally my brain started connecting one image to another. As a kid I loved gears and clockworks and wire. I wanted to keep little bits of machinery and metal. In the 8th grade I made a book cover for a textbook that was made of wire mesh. I liked carrying my silver, shiny, slightly dangerous (it gave my arm many tiny cuts and snagged a few threads in my clothes) and wear a dress with high heeled boots. Boots were ridiculous in Florida because the weather was almost never right for them, but I wore them anyway. Just like I didn’t care that other kids thought I was weird for my homemade metal book cover. Anyway, the first time I came across the term steampunk, my mind went, a-ha! That’s it. That’s what I’ve been seeing. What sort of style do you especially love or feel drawn to? 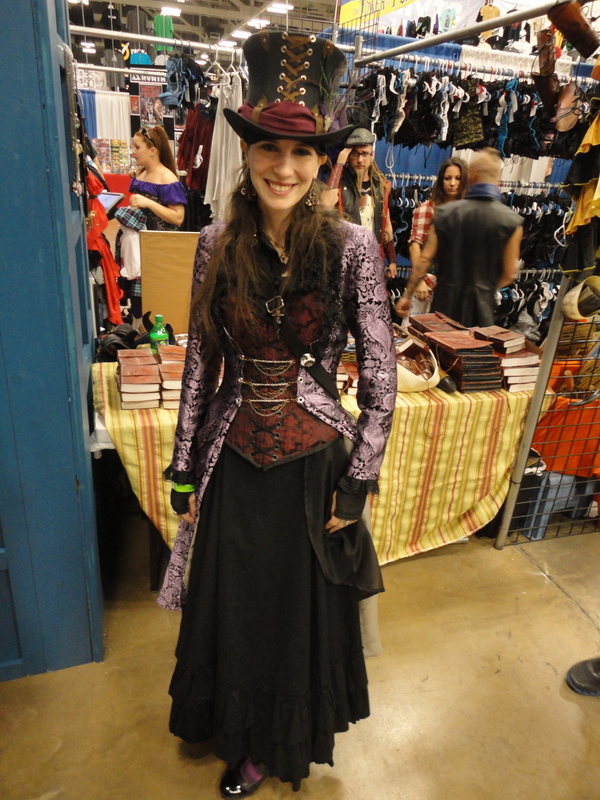 So, this year I’m putting together my own steampunk outfit. Suggestions welcome–though I have a limited budget. I’ve got so many writing and art projects, a different kind of project is necessary. I’ll post photos of pieces as I go! Here’s hoping I don’t look too ridiculous. Flapper dresses are beautiful. Are you planning on seeing the new Great Gatsby film this spring? It should have some amazing 1920’s styles. I don’t know if they still make it or not but there used to be this 1920s jewelry sold in department stories. I liked a lot of it. Oh yes! I cannot wait for Great Gatsby. I was so bummed when they moved it from Christmas to May. I was bummed too. I taught The Great Gatsby last fall, and I had wanted to take my class to see the film as an end of semester celebration. Oh well. I might meet up with a few students this May and see with them anyway.